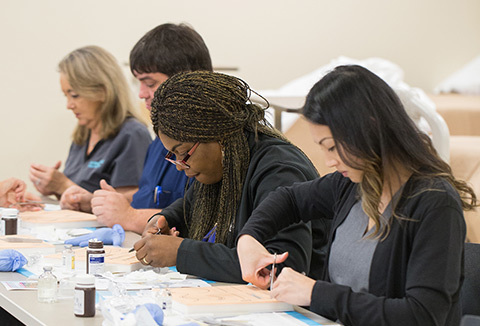 The advanced practice option for master's-prepared advanced practice nurses is intended to prepare individuals at the most advanced level of nursing practice. The advanced practice option for master's-prepared advanced practice nurses is intended to prepare individuals at the most advanced level of nursing practice. Graduates are educated to effectively advance the management of individuals, families and the population and improve the safety and quality of patient care. Educator add-on courses are available for those who desire to teach and lead in a school of nursing. The post-master’s D.N.P. program requires students to complete a minimum of 1000 hours of practicum. Students can petition to have hours from their master’s program transferred in by filling out the practicum hours verification form.